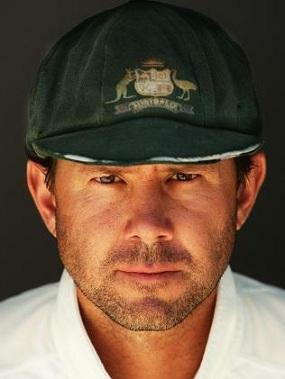 Ricky Ponting born on 19 December 1974 at Launceston in Tasmania. His first Test match for Australia, Ponting played at the age of 20 years in December 1995 in Perth against Sri Lanka, while he managed 96 runs. His first One-Day International cricket match (ODI), he played on 15 February 1995 against South Africa in Wellington, New Zealand. Shortly thereafter he was appointed captain of the Australian cricket team. Ricky Ponting took the Australian team with which he won in 1999, 2003 and 2007 titles so far in four cricket World Cups in part. When the Australian cricket team's victory over India in the World Cup Final 2003 Ponting hit 140 runs excellent. Ponting was elected in 2006 Wisden Cricketer of the five to one of the Year. In addition, the ICC him in 2006 and 2007 ICC Player of the Year is chosen. In addition, Ricky Ponting has been chosen by the ICC in the years 2003, 2004 and 2006 Test Player of the Year. In 2002 he was awarded the title of the One-Day International Player of the Year.